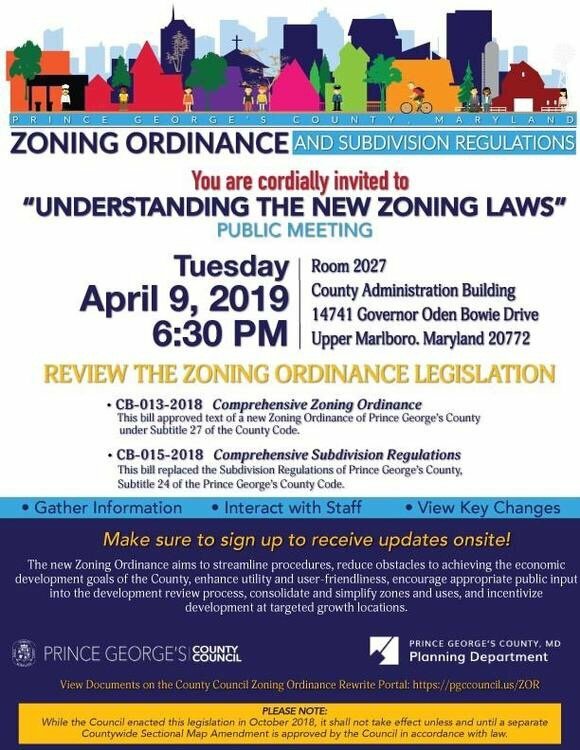 Join the Prince George’s County Council and the Prince George’s County Planning Department Today, April 9th at 6:30 pm for a Community Educational Forum about Understanding the New Zoning Laws. During the meeting, staff will be available to answer your questions about the new ordinance. The session will take place in the County Administration Building (14741 Governor Oden Bowie Drive, Upper Marlboro, MD 20772) in Room 2027.